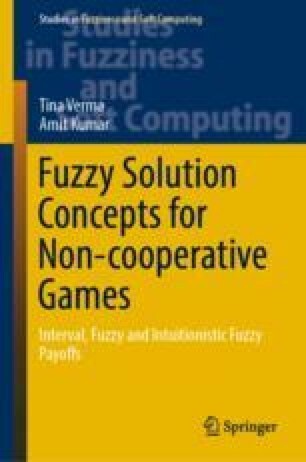 Li and Yang  pointed out that there is no method in the literature for solving such bimatrix games or two person non-zero sum games (matrix games in which gain of one player is not equal to the loss of other player) in which payoffs are represented by intuitionistic fuzzy numbers and proposed a method for the same. In this chapter, it is pointed out that Li and Yang have considered some mathematically incorrect assumptions in their proposed method. For resolving the shortcomings of Li and Yang’s method, a new method (named as Mehar method) is proposed. Also, the exact optimal solution of the numerical problem, solved by Li and Yang by their pro-posed method, is obtained by the proposed Mehar method.